A week or so ago I bought some cotton yarn in valentine's colors, a couple shades of pink, white and cream, for a project I have been working on and will share soon. After I finished crocheting all of the pieces for that project I still had quite a bit of yarn left. 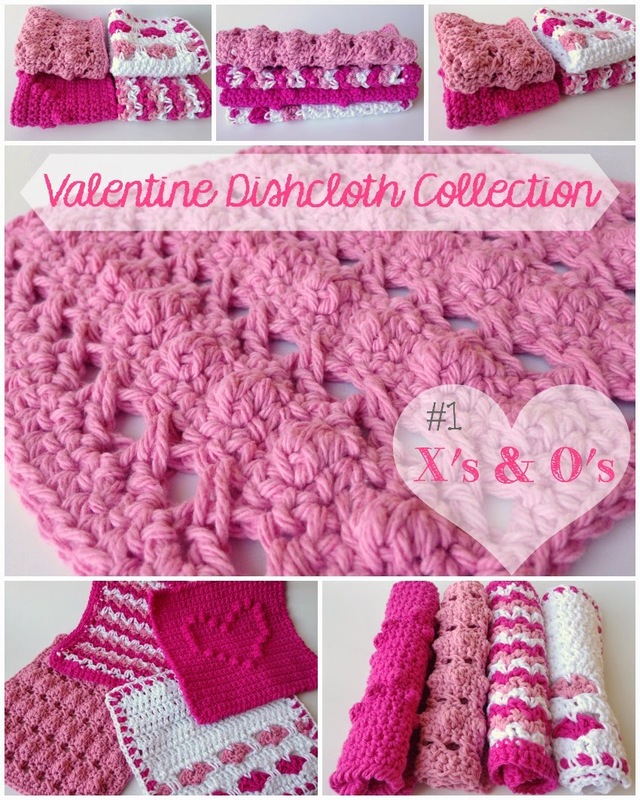 The first idea that popped into my head was to make some dishcloths, that is the thing that I make most often with cotton yarn so it just seemed to make sense to go that route. Besides, I really like using crocheted cotton dishcloths. They are cheap and easy to make and when they are dirty you just throw them in the wash. 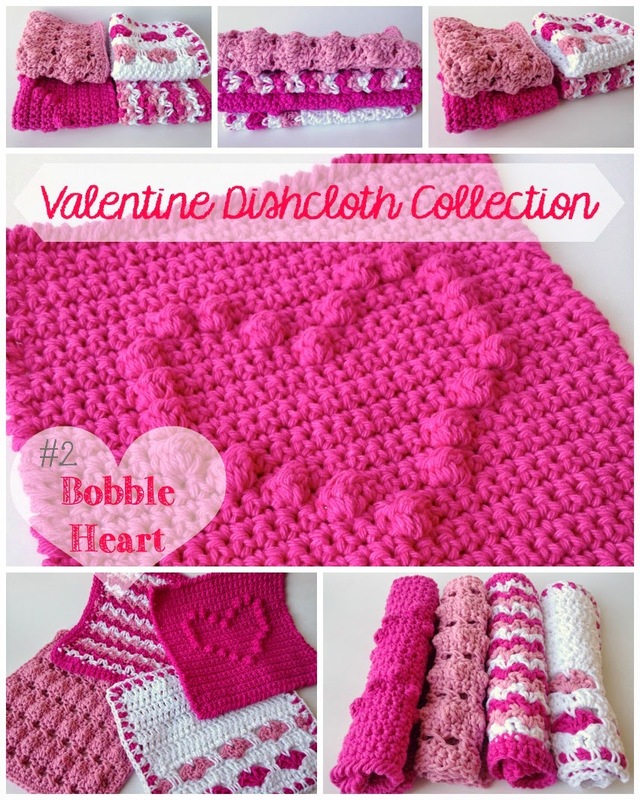 I thought, why not make some that are not only valentines-ish in color but also in design. I don't really have a lot of valentine's decorations and I thought it would be fun to have something bright, cheery and seasonal in the kitchen. This is the last Christmas gift that I am going to be posting about. I have shared a lot of the things that I made for my oldest daughter for Christmas but she is not the only one that I made gifts for. I made more for her than I did for any of the other kids, we hardly bought any of her gifts, but I did make a few other things. 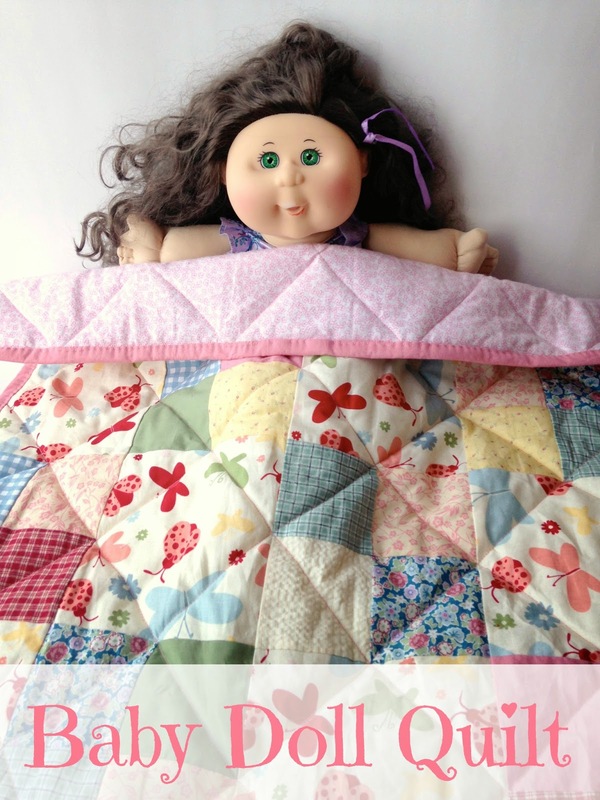 One of the other things that I made was a baby doll quilt for my middle daughter, Lucy. She got a Cabbage Patch doll for Christmas. We joked a little that it was like 1980 something in our house on Christmas morning, in addition to Lucy's Cabbage Patch doll, our youngest daughter got a Care Bear and our youngest son got Transformers. It was like we were reliving our childhood Christmases. Anyway, back to the quilt. I thought that Lucy would like a few little accessories to go along with her baby and of course one of those things had to be a little doll quilt. About a year ago our kids school started up a little girl scout troop and we decided to let Eliza join. The first year there were only a couple of girls but this school year they have grown quite a bit and now there are several little girls in their troop. Eliza has really enjoyed it and really looks forward to the days that she has girl scouts. Because she is deaf and goes to a deaf school her school friends don't live near us, they are spread out all over the valley and some even further. 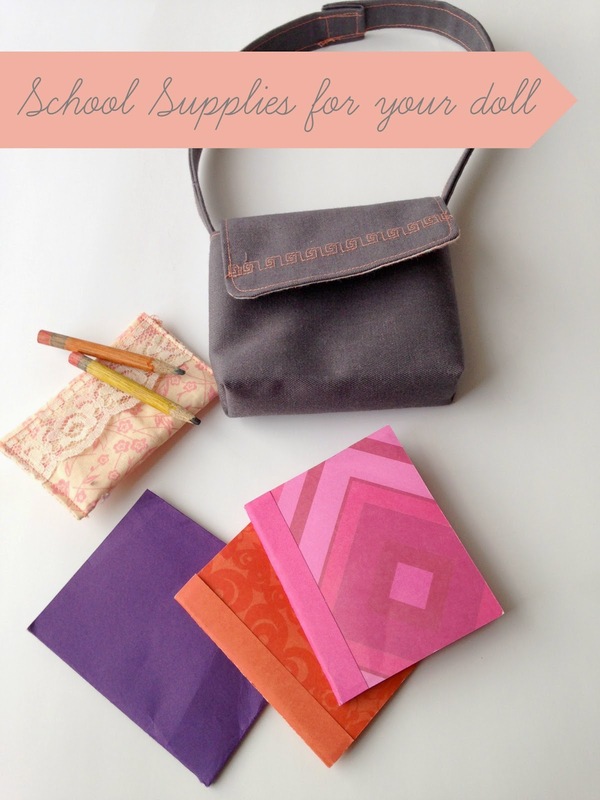 As a result she doesn't have many opportunities to get together with them outside of school. She loves her friends and I think that is a big part of why she has enjoyed girl scouts so much. It is a chance to do something with her friends each week outside of school. I have a couple more doll accessory posts left to do but I decided to take a little break from that and post a new crochet scarf pattern. This pattern was originally inspired by a pattern that I saw in a crochet stitch book, Crochet Stitches Visual Encyclopedia, that I borrowed from the library. 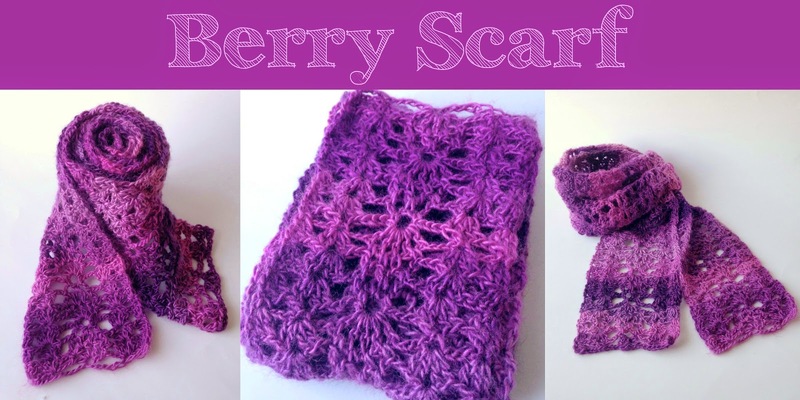 In that book I found a stitch pattern called Blackberry Jam, which is basically the middle section of my scarf. After I saw it I immediately thought it would be fun to make a scarf using that stitch as my inspiration. The name Blackberry Jam made me want to make it in a dark purple. As I was thinking about it I remembered that I had seen that Red Heart's Unforgettable yarn comes in a purple colorway called Petunia with pinkish purples to dark purples. I have wanted to try that yarn out for a while and decided that it would be perfect for this project. 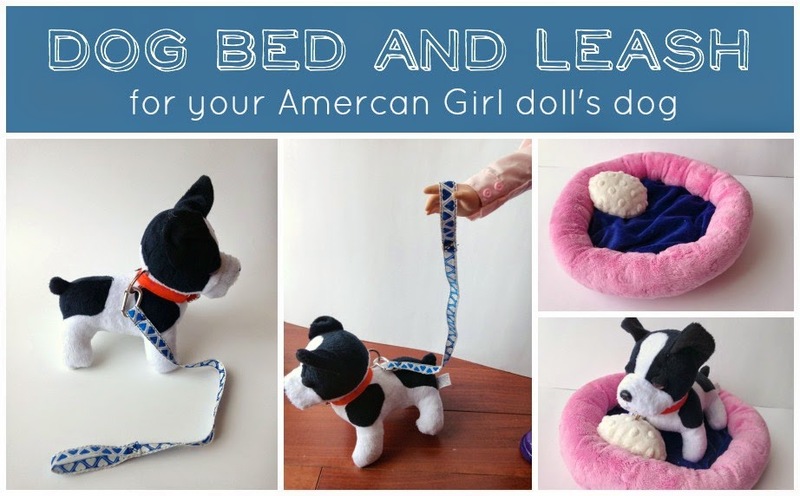 The other thing that Eliza really wanted for her doll, besides the bed, was a dog. Well, a dog, and a bed for her dog, and a collar and leash for her dog, and a pink tutu for her dog. She saw all of those in the American Girl catalog and, other that the pink tutu, she got all of them. The bed isn't exactly the fancy princess dog bed that she saw in the catalog and the collar is just the one that came sewn onto the dog, no sparkles or rhinestones or anything fancy like the ones that she wanted but when she opened it up Christmas morning she didn't seem to mind at all. I know I have mentioned before that my daughter is really into American Girl Dolls right now, and by American Girl Dolls I really mean any 18 inch dolls, she doesn't really know the difference. She gets the American Girl Catalog in the mail and she loves looking through it and finding all of the things that she wants for her doll. A month or two before Christmas she was looking through the catalog, telling me what she wanted for Christmas. 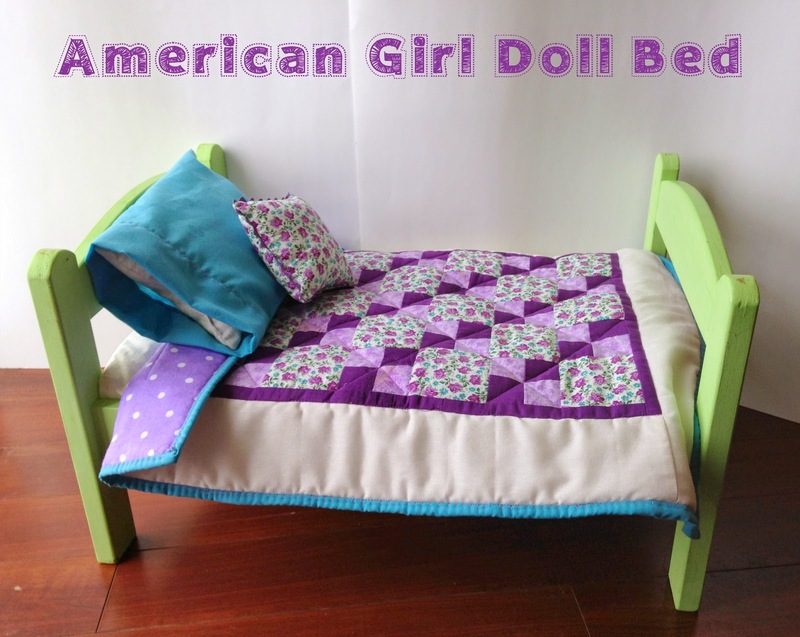 One of the bigger things she wanted was a bed for her doll. Anything in the American Girl catalog was a little outside of Santa's budget this year, and the truth is even if it wasn't I am way to cheap to spend that much money on doll accessories, especially when I know I can make a lot of them for much cheaper. Happy New Year to everyone. I am very excited for this new year, especially with regards to this blog. I feel like I am starting to get a better feel for what I want this blog to be. About 6 months ago I started this not knowing where it would go. I was really nervous about the idea of putting myself and my ideas out there for everyone to see. I think 6 months ago when I was just starting out, my vision for this blog was very different than it is now. I knew I liked making things and I thought maybe it would be a stepping stone toward possibly selling some of those things online, like opening an Etsy shop or something along those lines. Now I feel like that vision has changed a lot. Creating this blog has really helped me to recognize that what I love even more than just making things is the whole process of creating something, starting with a little idea in my head, figuring out a way to make that design turn into something, designing and creating it and eventually seeing the finished product. I realized that I don't necessarily want to be making the same thing over and over to sell. I want to be coming up with ideas, designing patterns, trying new techniques, and all of that kind of stuff. Now if I were ever to decide to open an online shop I think it would be as a place to sell patterns rather than finished products like I had originally thought. It has been such an exciting thing to see people using my patterns and making their own things, to read comments that people write, to see my ideas repinned on Pinterest or queued on Ravelry. I was terrified to publish my first pattern on here and yet it has been by far my most popular pattern. Seeing the response from that pattern has made me more confident in putting my ideas out there for everyone to see. In fact part of my plan for this year is to redo that pattern. I want to make it a little better by including gauge and more measurements so that it will be easier for everyone to get the size right. I also plan to make several more sizes from baby-adult. I am very excited to get started on that. I have plans to share a lot more patterns and ideas this year. The next week or two I will be sharing some of the things that I made for Christmas for my family. In other words, I hope you like doll accessories. 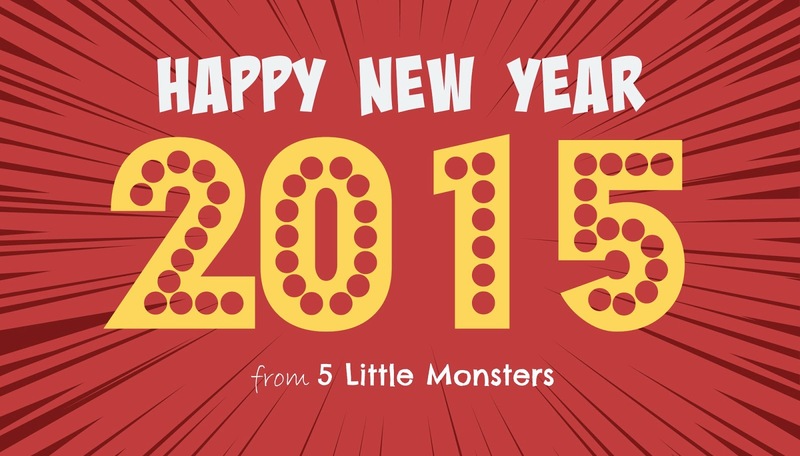 Now, I thought it would be fun to do a little recap of the first 6 months of 5 Little Monsters.